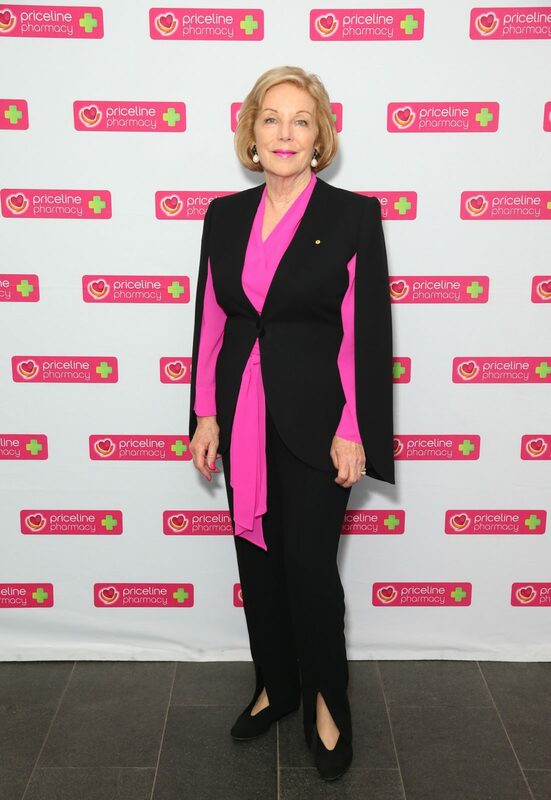 When it comes to Aussie style icons, you can’t go past Ita Buttrose. The former Studio 10 television personality turned heads on Thursday as she stepped out in a striking fuchsia and black combo to attend the Beauty Prescription [LIVE] at Royal Randwick Racecourse in Sydney. The 77-year-old looked sensational in the standout ensemble, which included black trousers, a pink blouse and a matching cape-like jacket. Opting for comfort over glamour, she kept her footwear simple in a pair of flat black pumps but added bright pink lips to match her outfit. A dazzling pair of pearl earrings completed the look. 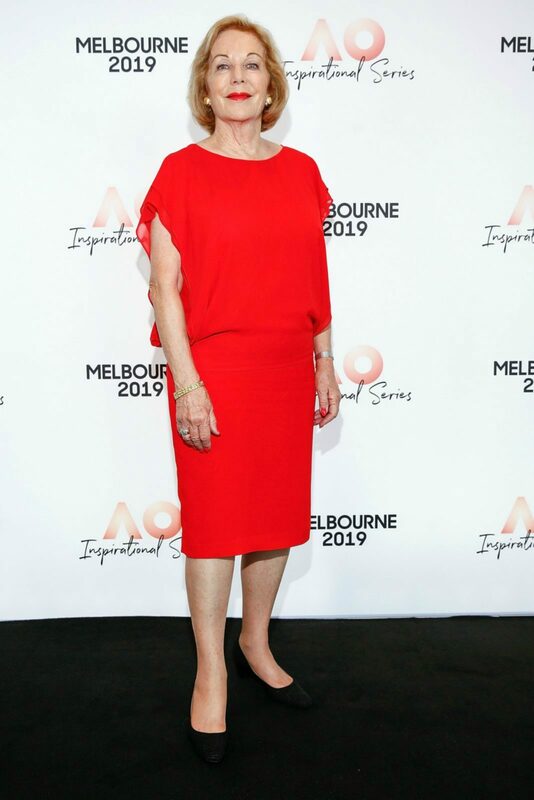 She had previously been one of the very special guests at an Australian Open celebration in January alongside Deborah Knight, Julie Bishop, Turia Pitt and Anna Wintour. The author won the crown for brightest outfit of the day as she stood out in a stunning red knee-length dress. Opting for comfort over glamour, she kept her footwear simple in some flat black pumps but added bright red lippy to match her dress and coupled it with some dazzling gold stud earrings. Ita Buttrose at the AO Inspirational Series Brunch earlier this year. Source: Getty. Her fashion wasn’t the only reason why Ita made headlines on Thursday, with One Nation leader Pauline Hanson calling her out for the ABC’s decision to air the controversial Al-Jazeera documentary How to Sell A Massacre. Pauline’s Chief of Staff James Ashby and Queensland leader Steve Dickson appeared in the documentary and appeared to lobby for cash donations from the National Rifle Association of America (NRA) to water down Australia’s gun laws. The footage originally sparked backlash on Tuesday, with Pauline calling on the ABC to cancel Thursday evening’s documentary. Ita was officially named as the new ABC chair last month, ending months of uncertainty about the position at the public broadcaster. The 77-year-old, who is only the second woman to hold the position in the media organisation’s history, will lead the ABC for the next five years. The high-profile job is yet another achievement in Ita’s already storied career. She made a name for herself in the early 1970s when she founded Cleo Magazine, and later went on to become editor of The Australian Women’s Weekly. She also lead Sydney’s Daily Telegraph newspaper in the 1980s, and was most recently a panellist on Network Ten’s morning program Studio 10. Even when she hasn’t held a full-time position in the media, Ita’s insights and knowledge of the industry have been sought after and she regularly appears as a commentator across the media. Speaking on ABC program The Drum last year, Ita commented on the turmoil within the ABC board and conceded anyone who took on the top job would face an uphill battle. Are you a fan of Ita Buttrose? Do you like her style?